Many companies use metrics, or key performance indicators (KPIs), to keep tabs on a project throughout its lifecycle. But, too often the KPIs a company chooses are not all that helpful when it comes to tracking integrity, progress or performance. Some track too many, some track too few. 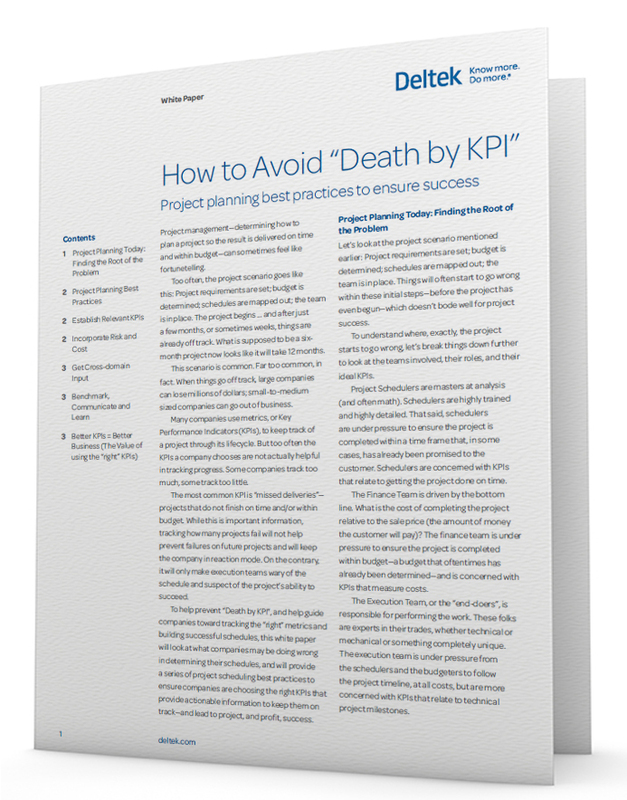 The free white paper, How to Avoid Death by KPI, is a guide to tracking the ‘right’ metrics and building successful schedules. Learn common scheduling pitfalls, several planning best practices, and which KPIs provide actionable information that keep a project on track for project, and profit, success.